The product "Porsche 962C Blaupunkt Porsche AG WSC Norisring 100 Miles 1986 Hans-Joachim Stuck" was successfully added to your wishlist. 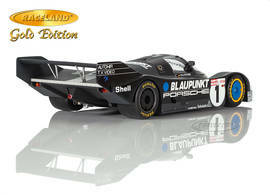 Raceland Gold Edition made by Spark 1/18th scale. Special limited edition of just 300 pieces worldwide made exclusively for Raceland in special packaging. High quality resincast model car with photoetched parts. Size approximately 25 cm. 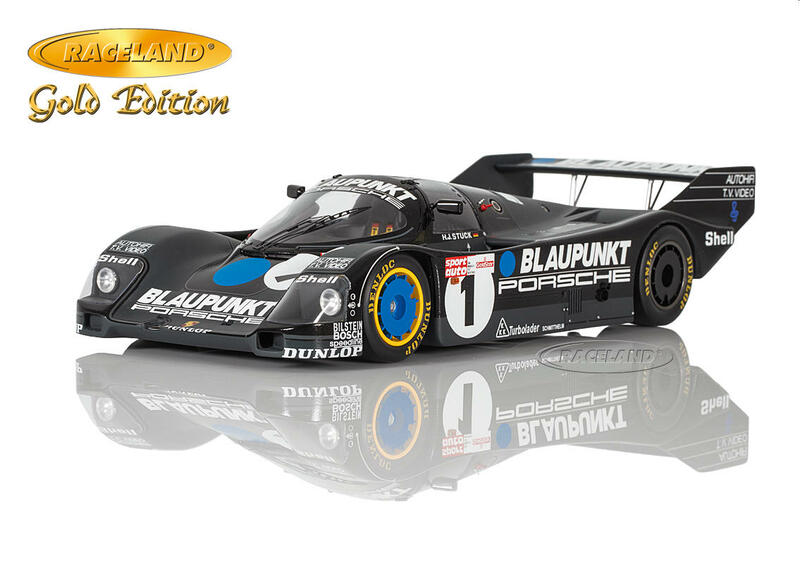 In 1986 the famous 200 Mile race at the German Norisring hosted a huge grid of Group C cars as the sportscar event was not only held as a round of the German Supercup but also as round 4 of the World Sportscar Championship. 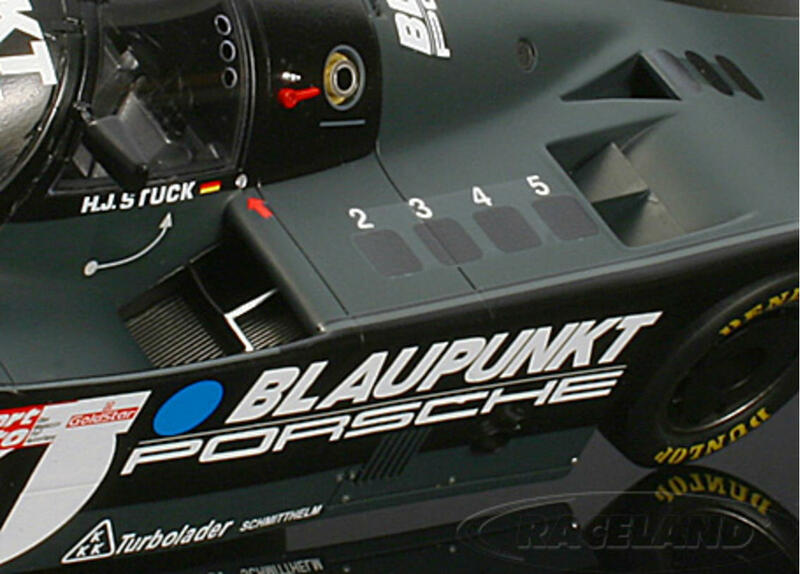 While the Porsche works 962C competed in the World Championship and at Le Mans in the colors of sponsor Rothmans, Porsche had to use the Supercup car chassis #005 in the black Blaupunkt design for the Norisring round. Hans Joachim Stuck set the fastest lap in practice against the competitors of Jaguar, Sauber, Lancia and an armada of private Porsche 962C and 956. Starting from pole position and leading the race Stuck ran into technical trouble. The necessary pit stop dropped him to a 15th place in the end. 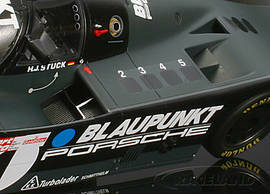 Still the Norisring saw the only appearance of the beautiful black Blaupunkt works car in the World Sportscar Championship. 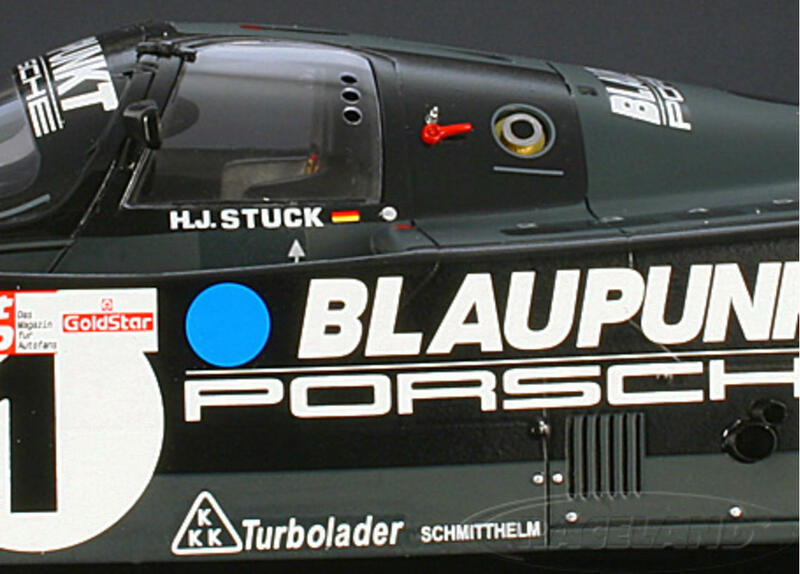 Despite this bad luck at the Nuremberg Norisring race Hans-Joachim Stuck became champion of the German Supercup for Group C cars at the end of 1986.